Memoirs have increased in popularity since the 90's, and by the year 2007, publishers were accepting more of them than first novels. USA Today published a statement by Nan Graham, editor-in-chief of Scribner's, that their popularity could be attributed to the fact that memoirs were usually "hopeful and inspiring." 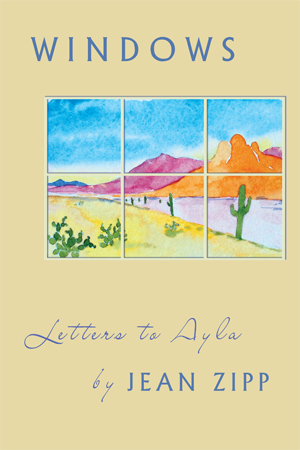 Pinyon Publishing in Montrose, Colorado has just published a memoir by Jean Zipp, a great-grandmother in Tucson, Arizona whose record of the important moments of her life takes the form of letters to her great-granddaughter Ayla and attains that description of "hopeful and inspiring." The account celebrates nine decades of a story well worth telling as Zipp shares climatic events in her life in Windows: Letters to Ayla. It's a chronicle about life in a Russian Jewish family that begins in Cleveland, Ohio and takes the reader on Jean Zipp's odyssey from the East Coast to the West Coast, as she lives an ordinary, yet extraordinary, life during some of America's toughest seasons: the Great Depression, WWII, the Holocaust, and a tense period of anti-Semitism. In an early chapter entitled "Holy," Zipp captures a child's first encounter with prejudice, describing a visit in which she accompanies her father to see the grave of her grandmother in an Orthodox Jewish cemetery. She writes that the encounter still makes her shudder, and readers will do likewise when they read the cogent description of that experience: "My father wanted me to see where my grandmother lay. As we walked toward the cemetery gates, first my father then I to my horror saw a large dead rat hanging by its tail from the cemetery gates. My father was a quiet man who kept his emotions under wrap. He found a stick, large and heavy enough to dislodge the rodent, which he threw into an adjoining field. Without a word, he led me to my grandmother's grave. After a few silent moments, he ran his hand over her headstone and together we walked out of the cemetery. I don't know if my father ever told my mother about this cruel act of anti-Semitism. He never spoke of it to me. It was some years before I was old enough to understand the ugly significance of that event..."
During the Great Depression, Zipp's father, who owns a shoe store, is awarded a contract from the city of Youngstown, Ohio to supply shoes for charity cases, and her mother, a consummate pianist who is a soloist with the Youngstown Symphony, contributes to the family finances by increasing her enrollment of piano students. Zipp's accounts of life at a time when modern conveniences were unheard of evokes nostalgic moments for those readers who grew up with milkmen, bread trucks, ice trucks, ice cream vendors, and cities without supermarkets. She describes teen-age dances sans alcohol and drugs in a "Mansion" outside of town on acres of land where between dances, she "sipped cokes and ate peanuts or pretzels...there was no need for police surveillance; had we seen a police officer, we'd have supposed there had been an accident..."
An arresting chapter about the prisoners who had been sentenced to life imprisonment during the Nuremberg trials and her brother Jerry's involvement as the military person in charge of their care documents the insensitivity of the Army in assigning a Jewish officer to care for Nazi criminals during this period. Her brother's reply to Zipp's query, "Why didn't you ask to be transferred?" was preceded by a long pause. "I thought it grotesque retributive justice," he said. During her adolescence, Zipp almost became a part of the WWII effort when she was asked to transpose French code into English for the War Department but was deterred by her mother who claimed that the spy work was too dangerous. At that time, parental consent was paramount, and Zipp didn't argue with her mother. Today, she asks the question: "If that opportunity were presented to a nineteen-year old today would he be apt to defer to a parent? ... I'm not a very good rebel. I wouldn't have brought grief or worry to Mother." These are only a few excerpts from the notable account of a multi-talented person who led a multi-faceted life as the wife of a serviceman, a devoted mother, owner of a toy store, interior designer for Ethan Allen, teacher's aide, and volunteer worker in a tactile art gallery she helped create and named "Eyes of the Mind." Zipp has created a memoir of a survivor who has left a large piece of herself behind for her great-granddaughter and for those of us who enjoy reading accounts of memoirists who preserve history by writing about their extraordinary lives in skilled narratives. She has used her memories, experiences, and her imagination to shape a moving and unforgettable narrative. 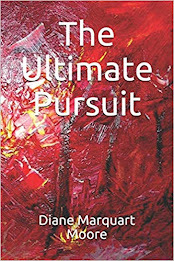 Available from Pinyon Publishing, 23847 V 66 Trail, Montrose, Colorado 81403.